Can you name one person in your family, or among your friends, or peers at work that does not have a Facebook account? I seriously doubt it. Chances are much greater that they all have Twitter, Instagram, and a number of other social media accounts as well. And in today’s social media savvy world, the courtroom is no different. When divorce is involved, the question of electronic evidence, and social media evidence, in particular, comes into play in various ways. Modern relationships fall hazard to the sometimes illicit goings-on of spouses that end up publicized for the entire world to see (and “like” or comment on) on the Internet. In many situations, focusing more on a person’s social media friends and presence can detrimentally affect a person’s real-life relationship. Some studies have shown that social media activity played a part in one out of seven divorces. Not only is social media a growing cause for divorce, now it is being used as evidence in divorce cases. It can be used to demonstrate infidelity, and in some states may impact the amount of alimony awarded. Social media use may also be admitted for other purposes including hiding assets. If there are pictures or statements on social media that refer to these assets, the evidence may be admitted for this purpose. Additionally, it can demonstrate that a person is unfit as a parent. It may show the parent smoking, doing drugs, or drinking alcohol around their children. It may also show the parent allowing their children to engage in risky behavior which indicates the children are not safe with the parent. You can’t argue with facts. Social media is affecting relationships and being used in divorce litigation in serious and important ways. According to one periodical, a spouse’s posts on social media platforms are admissible as evidence in the United States during divorce proceedings, given that they are not procured illegally. Also, an opposing attorney or the estranged husband or wife is not legally allowed to open false accounts with the purpose of “Friending” them in order to gain access to particular photos or posts that may be damning. Spouses are not legally permitted to come by those same posts via “hacking” or other equivalently malicious means. So be careful what you share…posts and photos that are made public are able to be seen or inspected by anyone in the world. That material is fair game to be admitted as evidence for or against someone. 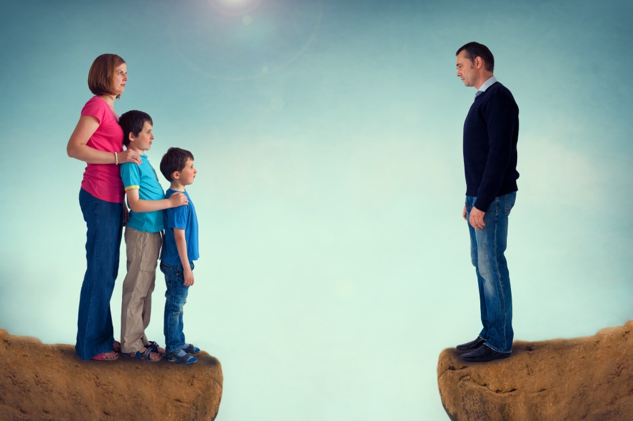 Once a divorce is pending, spouses should expect that they will be under close personal scrutiny by their spouse and his or her lawyer. This is a common time for social media activity to be investigated. Individuals who are going through divorce should proceed with extra caution and assume that people who they do not actually intend to see their posts will see the posts and should proceed with this assumption. Additionally, their posts may be reposted to friends’ pages and then other people can view them. You can’t always rely on your privacy settings. Divorcing spouses should be very mindful about what they post because anything can be taken out of context. Spouses should carefully censor what they post and avoid making any type of statement or posting any type of video or image that could be used against them. Additionally, they should ask friends and family not to post any embarrassing comments, photos or videos of them that may paint them in a negative light. Due to the public nature of social media, it should not be used as a support system. Many online friends may not actually be that trustworthy or even close to a person and may reveal shared information to the other spouse. Spouses should avoid talking about their legal case or complaining about their spouse in such a public forum. This entry was posted in Investigations and tagged Divorce, social media and divorce, social media evidence. Bookmark the permalink. ← Do You Speak Emoji?